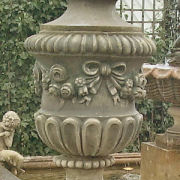 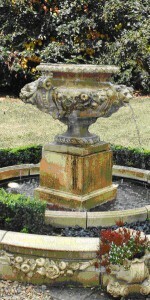 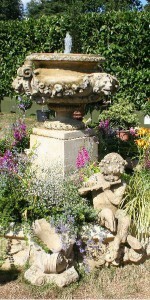 This grand Urn in the baroque style, the orginal of which was sourced in France is thought to have been 18th Century in origin. 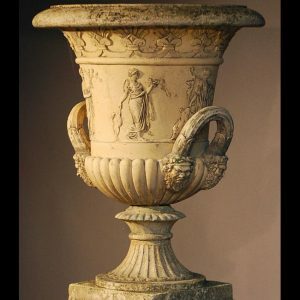 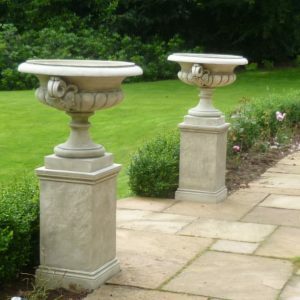 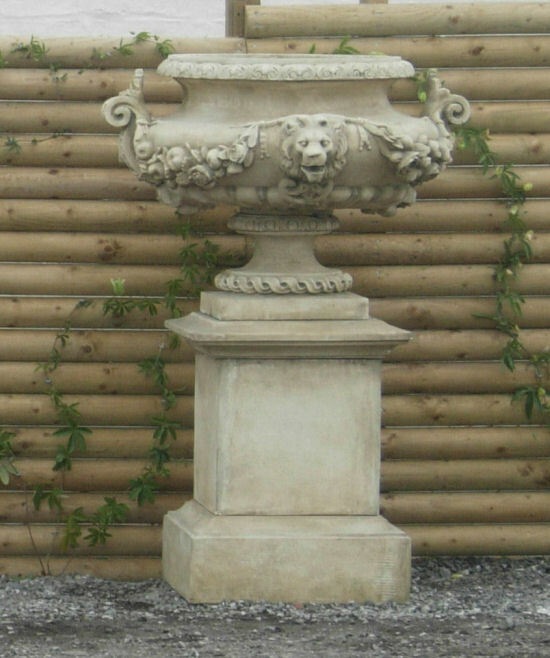 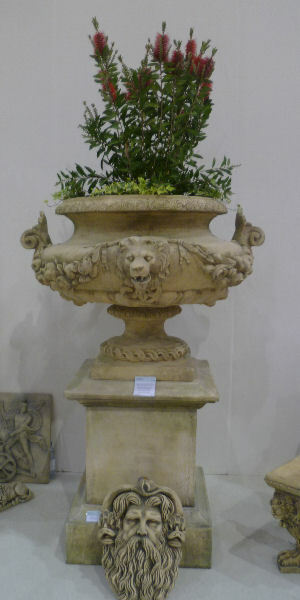 With pronounced lion head detail, scolled handles and fruit and floral swags to the main bodThis grand Urn in the baroque style, the orginal of which was sourced in France is thought to have been 18th Century in origin.y. 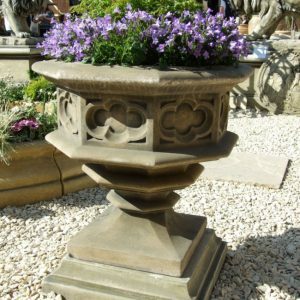 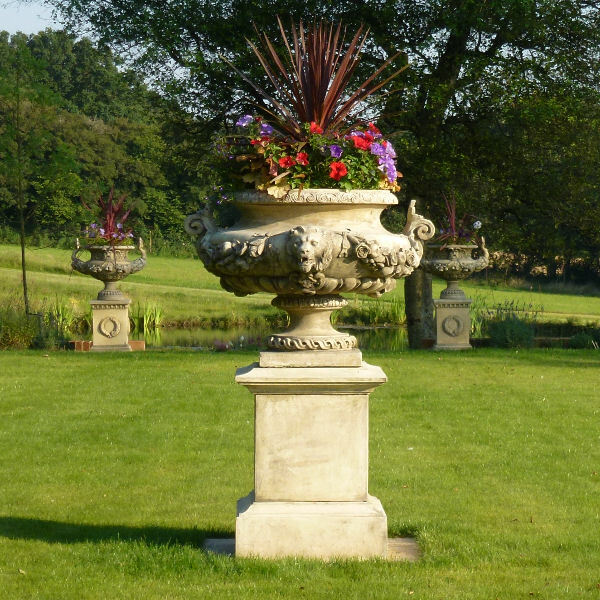 This magnificent urn makes the ultimate statement.